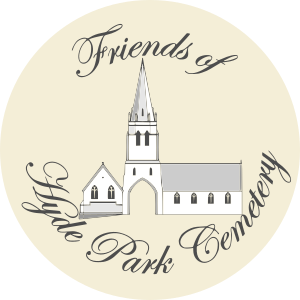 Helen, our group’s Secretary, ran the first of this years guided walks today (Saturday 24th March 2018), with Phil a long standing friend and volunteer of Friends of Hyde Park Cemetery. 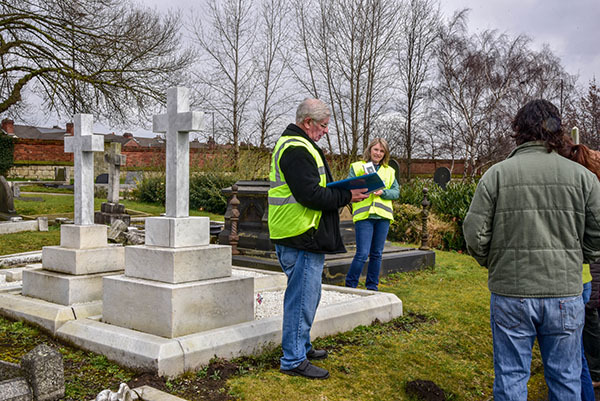 Helen and Phil took a group from the Friends of the Museum around 14 very different grave sites containing individuals who had all led quite unique and fascinating lives, showing the wealth of history contained within the cemetery. The individuals presented included a Mayor, an Actress, a Sports Woman with a Heroic Husband, 2 Chief Constables, a Train Driver killed in a tragic accident and a prominent Railway Steam Engine Designer to name a few. The consensus, at the conclusion of the walk, was extremely positive and a very enjoyable experience was had by all. Helen was thanked openly for the hard work carried out researching individuals lives and preparing the presentations in her own time, for the benefit of the visitors. We are running a number of ‘themed’ guided walks this year and if you would like to attend one of these, then please visit our events page for more information.